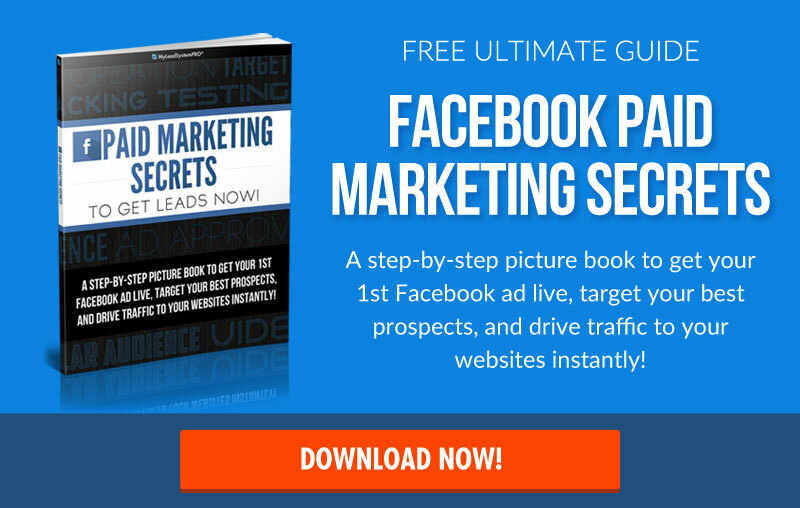 Home » Internet Marketing » Storytelling on Facebook: Get Leads, Sales, and Sign-ups with Facebook Story Ads! 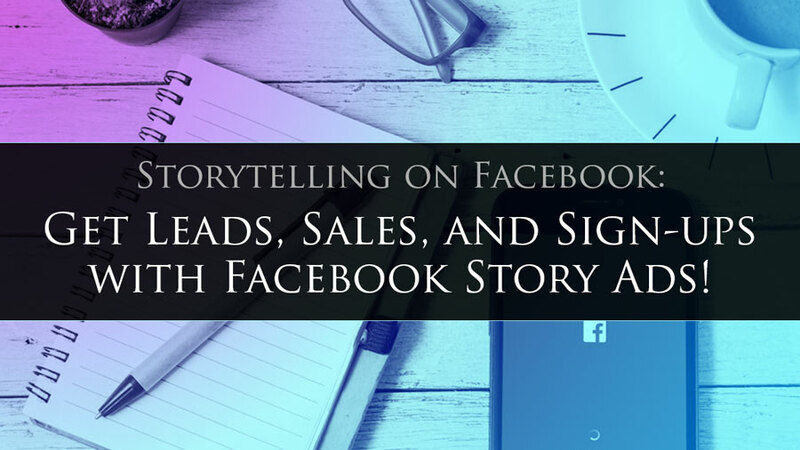 Want to learn a little known, but highly effective strategy to use storytelling on Facebook… and create a flood of leads and sales into your business? If so you’ve landed in the right spot. I think you'll agree with me, using Facebook ads to grow your business is one of the fastest ways to get leads and sales. However, when you add the powerful element of storytelling in your ads, you can increase your results enormously. Not to mention you can do it cheaper, with better conversions, at a higher profit margin, and very quickly! (Hence SAME DAY leads, sales, and sign-ups!) Plus, Facebook seems to love this method because of the massive engagement it brings. Why Does This Storytelling on Facebook Strategy Work So Well? It’s actually quite simple when you look at the reason that people go to Facebook in the first place. The one thing that you must always remember is that nobody goes to FB to get sold to. In essence, people log onto Facebook to decompress. To connect with friends and family, to be nosey, to be entertained, to get the latest news, and to learn about the things they’re passionate about. You use the type of pictures and images that people actually go to Facebook to see. Your stories are seen by only the most highly targeted prospects that want what you’re offering! ALL while giving Facebook users exactly what they logged on for in the first place! The other great part about these story ads is that they can be used to promote anything you need to promote. People love and respond to stories. Virtually anything you’re promoting can (and probably should) be promoted with storytelling. Of course you can’t go straight from meeting someone to asking them to marry you can you? You’ll see how simple it is as we break it all down step-by-step! PROOF THAT STORYTELLING WORKS LIKE CRAZY? Remember the movie Top Gun from way back in 1986? You know, the one where Tom Cruise was a hotshot NAVY fighter pilot? The same movie pushed sales of Ray Ban Aviator sunglasses up 40%. Simply because Tom Cruise wore them in the film. All due to STORY! Story sells! 3 Steps to Using Effective Storytelling on Facebook with FB Ads! Truth is, this should ALWAYS be the first step in ALL your marketing. Who is YOUR ideal customer and how do you find out? What do you already know about them? If you think your target market is everybody, then you’re about to take a ride down a rough and bumpy road. 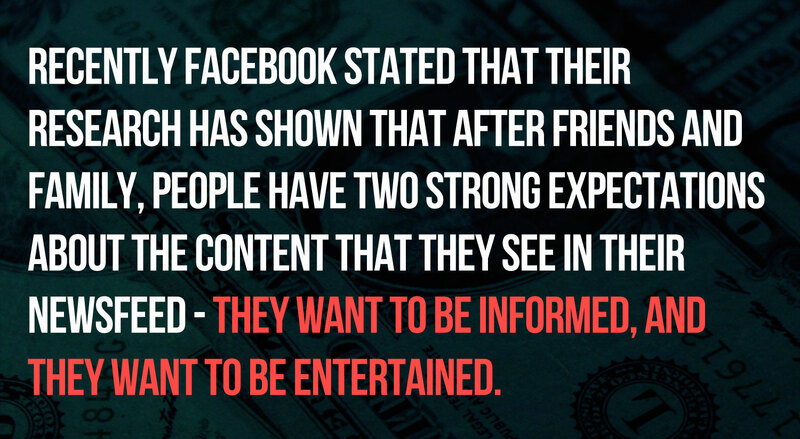 When using storytelling on Facebook, you need to tell that story to a specific person. They must see themselves in that story. So who is that person? The easiest way to do this is look at your product, and work backwards from there. Who’s problems does your product solve best? Who can benefit from what you have? 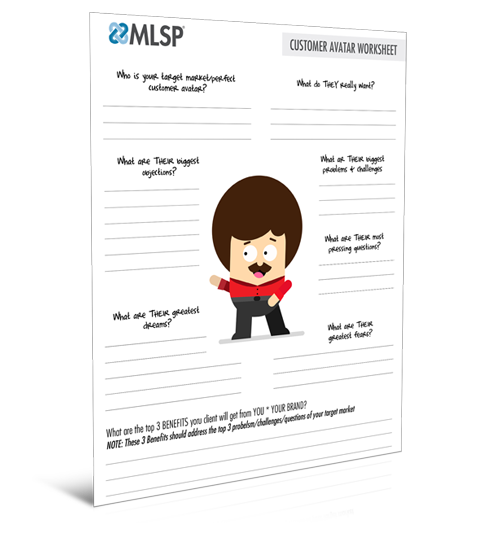 To get you started with defining your target market, you can download this Customer Avatar Worksheet that should get the mind working on figuring out exactly who your content should be targeting. These are just a few of the questions you should be asking, but once you get these down, you are well on your way! For example (and simplicity sake) if you were promoting MLSP, your target market might be network marketers looking to bring the network marketing business online. Or it could be affiliate marketers trying to get more sales for the products they promote. The point is, YOUR target market is unique, and YOU know best who they are. Are they male or female? Blue collar or white collar? Where do they live? Etc. What Problems Are They Having Right Now? What keeps them up at night staring at the ceiling? Bills, afraid to put themselves out there, fear of failure, etc. When you dig into their mind like this, you can create a story that’s ultra targeted to THEM!! What will they balk at about your offer? For example, common objections are of course time and money. Try to list as many objections as you can, so that you can answer those objections right in your storytelling. How does your target market talk? Nearly every niche has a specific language with buzzwords only they use when talking to each other. For example, most people don’t have a clue what words like prospects, leads, email lists, attrition mean. It’s like a foreign language to them. But in the network marketing or home business niche, those are the words people obsess about. Example: 30 to 50 year old women who want to get fit and lose the extra belly fat! Maybe they’re looking into the ketogenic or paleo diet. They might read magazines who often talk about fat burning, low carb, thermogenics, ketosis, etc. Don’t make the mistake of thinking that your target audience will always be like YOU! They may not be. However when you learn to dig into who people are, it opens up your marketing to different sections of your target audience, and even different marketplaces all together. Now that we know our audience, it’s time to put together an appealing story ad that’s going to covertly touch on all the hot buttons. This is where the magic begins to happen! As people scroll through their newsfeed it’s your picture that’s going to catch their attention. You want to think about engagement, and again remember why people log onto Facebook in the first place . Through tons of testing, Justice Eagan has discovered that fun and exciting lifestyle types of pictures work the best. Research has also shown that pictures of PEOPLE grab attention. It’s human nature to be attracted to someone else’s face. So a fun and exciting picture with a smiling face is the key. The best part is that these pictures don’t even have to be your own. It’s important that you don’t use stock photos, or pictures overlaid with text. That type of image screams AD, and people will more than likely ignore it completely. Your picture is what will catch attention just long enough to get people sucked into your story! Here’s the great thing... YOU don’t even need to tell your own personal story! What story or testimonial do YOU have, or does someone from your company have, that would appeal to your target market? With this strategy, a third party perspective works like gangbusters. Do you know (or even know of) at least one person with a result from the product or opportunity you want to promote? You must because if you didn’t you wouldn’t have joined or bought the product. Almost every product has a testimonial of some sort, and there’s no reason why you can’t tell that story. Find someone with a result that your target audience is looking for, then tell their story! BOOM! If the success story is yours, even if it’s not a huge success story, that’s even better. Do you think that someone who hasn’t ever gotten one lead online wouldn’t want to hear how YOU got your first...or your first 5? They do! The point here is that even if it's your first day or even hour in business, you have everything you need to work with to start using storytelling to promote your business on Facebook. How cool is that? COMPANION VIDEOJustice Eagan Goes Over His Favorite Kinds of Attention Grabbing Pictures, Secrets for An Effective Hook, and How to Decide On Your Story in the Video Below! The Only 3 Key Story Elements You Need to Start Using This Strategy TODAY! These story ads are easier to create than you think. As long as you have all the elements of story in place, you’re on your way to fresh new leads. BONUS: When someone clicks "see more" to read further, that's a positive response on your ad, telling Facebook that your ad is relevant to your target audience. This means FB will start showing your ad more, for less money! Your hook must incorporate either PAIN or a BENEFIT (or both!) More importantly it must be the same pain that your target market is feeling, and the same benefit that they want to achieve themselves. Essentially you want to tell your prospect's story BACK TO THEM (make them see themselves in the story.) This will quickly build know, like, and trust with your prospect. Your main job with your hook is to get them curious enough to move forward, and keep reading! Once you’ve got your reader hooked and wanting to know more, it’s time to dig further into the story to peak interest even further, so they’ll take action at the end. Your story needs to reveal a problem that the “hero” in the story is facing. Your story would obviously not be very interesting if you said: “Sue couldn’t get leads, and then she signed up for MLSP and started getting tons of leads.” Not very appealing right? This is why you must aggravate the pain that your reader is feeling, and use the language that they would use to describe it. The one year mark was coming up. Sue had went against her husband’s judgement and signed up for her business opportunity. She was determined to prove to him that this stuff was real, not a waste of time and money... and that she could make it happen. Worse she’d burned through her warm market, and couldn’t break the code on how to find leads online. She could see that “I told you so” look on her husbands face everytime she was up late at the computer and he was going off to bed. Doesn’t that tell a more vivid story that your target market could see themselves in? Use the pain, and use the language that your readers speak so they can relate, and see that YOU are someone that knows EXACTLY how they feel! You’ll then want to use that same type of language when you highlight the benefits. You’ve done the research to find what your target market’s objections might be. Now you’ll simply address those objections in the copy of the story. This will take down your reader’s guard, and make them more open to the solution you’re presenting. This is where a lot of people drop the ball. They forget to tell the reader what to do next. People will follow directions, if you’ll simply give them clear directions to follow. The simplest way to get people to take action is to tell them what they’ll get, or what YOU will do once they follow directions. “like this post, and let me know below that you want more “x”.... and I’ll PM you with “y” for free!" Step 3: Place Your Ad & Track Your Numbers! Now it’s time to get your Facebook Story out in front of your most targeted audience. While creating Facebook Ads is not complicated, it’s a comprehensive topic that we simply cannot fit all the basics for here on this post! Luckily, we’ve already created a full-fledged Facebook Ads Tutorial that will tell you EVERYTHING you need to know about creating your first Facebook Ad. COMPANION VIDEOIn the video below Justice Eagan walks you through as he creates a Facebook Ad for his Facebook Story Right In Front of Your Eyes! You Now Know One of the Fastest Ways to Get Leads for Your Business That We’ve Ever Seen at MLSP - Storytelling on Facebook! The only problem with this strategy is that it takes away your excuses. You don’t need content, you don’t have to make videos, you don’t even need a website to start getting leads to talk directly to about your business. It’s time to take this new strategy and start using it today. If you have a downline, share this blog post with them and watch your downline explode. In an affiliate contest? Now you’ve got a chance to blow away your competition. Keep growing, keep getting better and better, and remember MLSP believes in YOU. ACKNOWLEDGEMENT: We want to acknowledge and honor our dear friend and marketing phenom Justice Eagan for providing the training above so that we could serve YOU, our beloved audience. [Success Story Saturday] Check Out the Results Members of MLSP Got This Past Week! 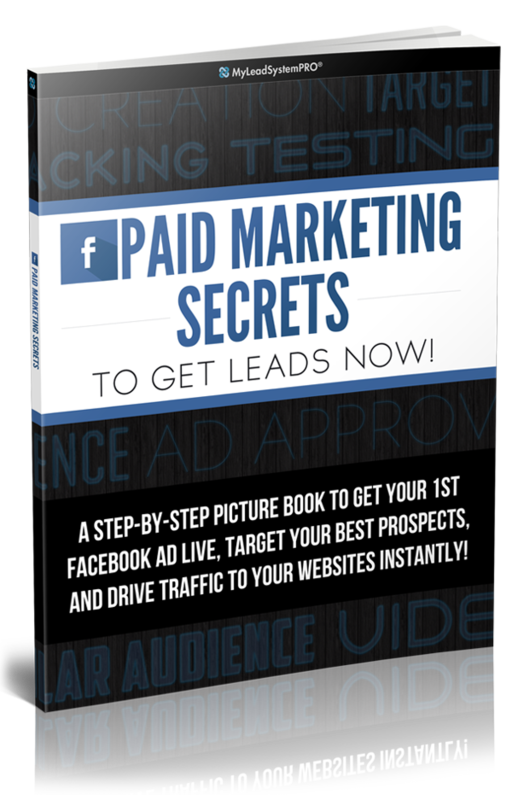 Are YOU ready to start running some Facebook Story Ads to grow YOUR business?! Let us know your thoughts here in the comments… we’d love to hear from you!